Matches at next year’s World Cup in Russia could be abandoned by referees due to racism or other discriminatory incidents, FIFA President Gianni Infantino has warned. Infantino confirmed officials would have the power to stop, suspend or call off games at the tournament as part of a “three-step” procedure. The FIFA President said any form of discrimination would not be tolerated at the World Cup and that anti-discrimination was a “high priority” for the governing body. It comes amid fears over racism in Russia following several issues in the country in recent years. The level of racism in the nation has previously been described as “completely unacceptable” by FIFA, while players such as Brazilian Hulk have openly admitted their concerns. 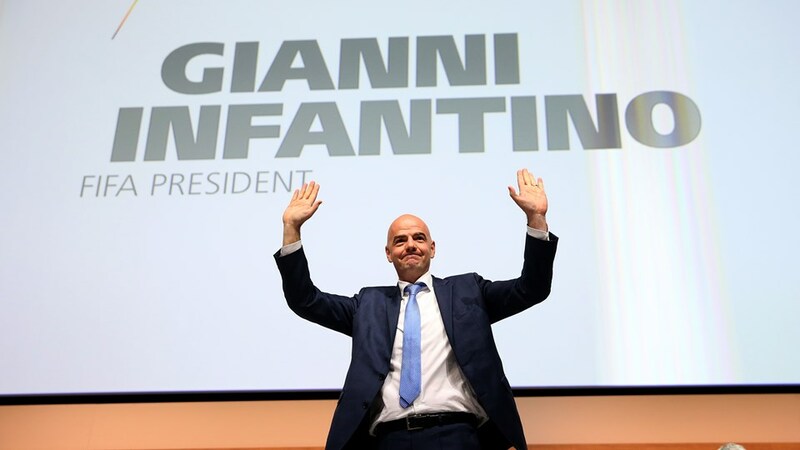 “We’ll make sure that no incidents will happen and we have for the first time in a World Cup the so-called, three-step procedure where a referee can stop a game or even abandon a game if there are discriminatory or racist incidences,” Infantino said. Russia has long stressed that racism will not be a problem at the World Cup and officials in the nation have insisted they are tackling the issue. However, there have been a number of racism-related incidents in previous years with players targeted with monkey chants and bananas. Earlier this year, former Chelsea midfielder Alexei Smertin was put in charge of investigating football racism in Russia despite claiming in 2015 that it did not exist in the country. Fears grew prior to the Confederations Cup, held in June and July, after people dressed in blackface to represent Cameroon at a parade in Sochi. FIFA described the displays as “inappropriate”. The issue was highlighted again last month, when Russian champions Spartak Moscow were ordered by UEFA to play their next European home match partially behind closed doors after racist behavior from their supporters.